Whether you enjoy swimming laps, cannonballing, or just relaxing on a tube, swimming is one of the most fun pastimes. 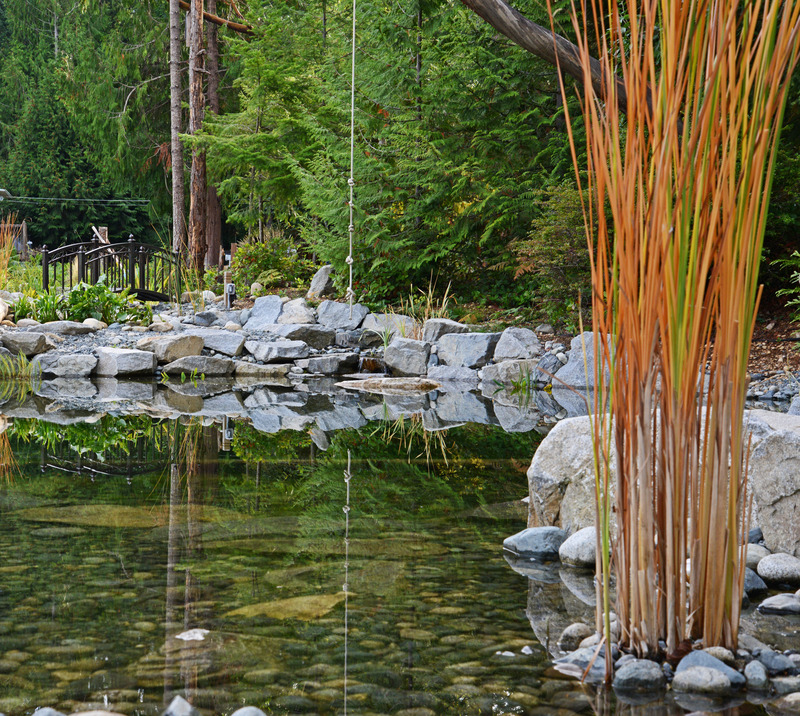 Usually when you think about a water garden, you think of small ponds with plants and fish. With the growing trend towards staying at home, more people are looking to enhance their own yards. 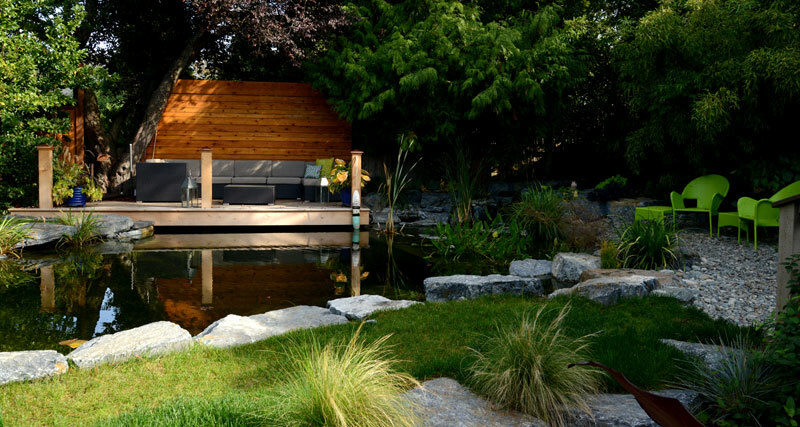 The swim pond is a great way to have a beautiful water feature that also offers the functionality of your own place to cool off on hot summer days. Our team at Wildwood Waterscapes understands having a passion and love for clean and beautiful bodies of water and we can help make your dream a reality! 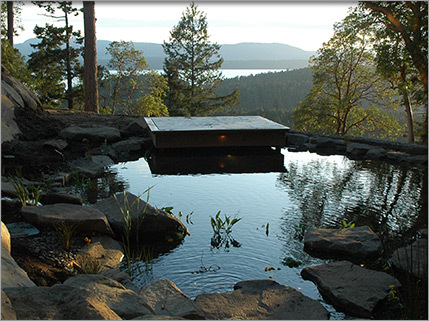 Originating in Europe, natural swimming pools are growing in popularity in North America. 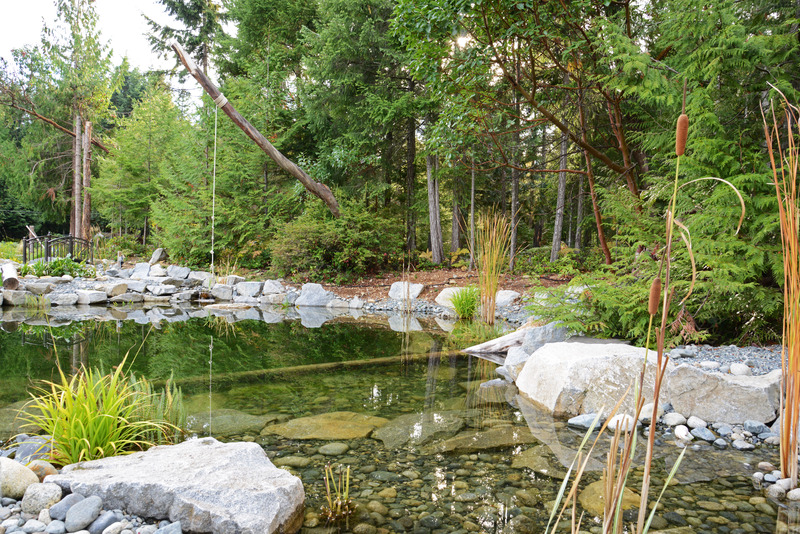 Swim ponds use far fewer materials to build and no chemical additives, and can be designed to blend into the natural landscape. Depending on design, swimming zones typically comprise 50 percent of the total water surface area; the rest is dedicated to filtration. Water is pumped to shallow areas with abundant plant life and aggregate that act as natural filters, keeping water pure and clear. Plant life is essential in swim ponds. They help to enrich the water with oxygen, support beneficial bacteria and give habitat to frogs, birds, dragonflies and other wildlife. Creating a habitat for these creatures can actually help to reduce the population of pests such as mosquitos. 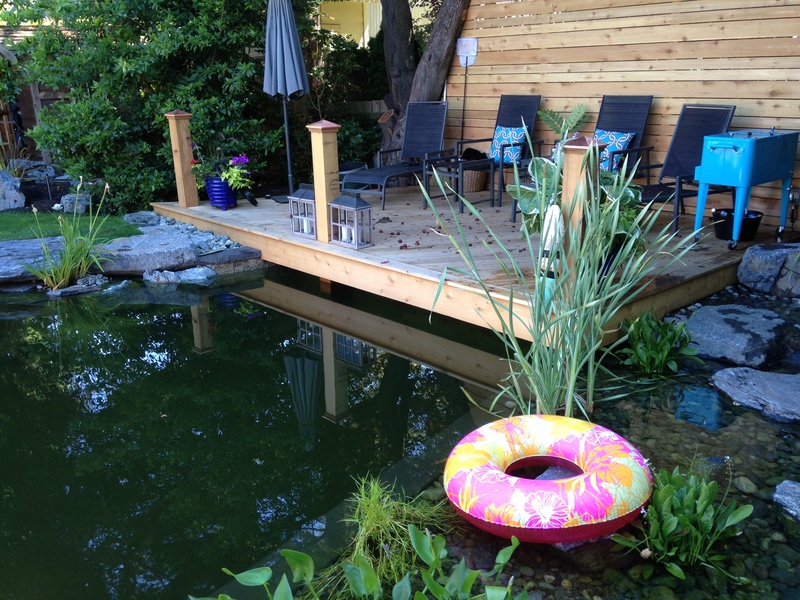 You can also have fish in your swim ponds too! 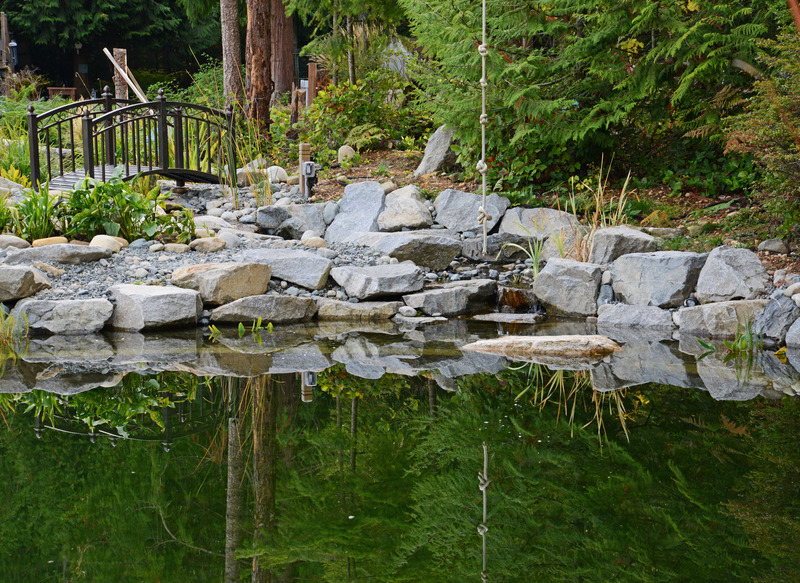 Swim ponds can be comprised of many different plants that help regulate the water. 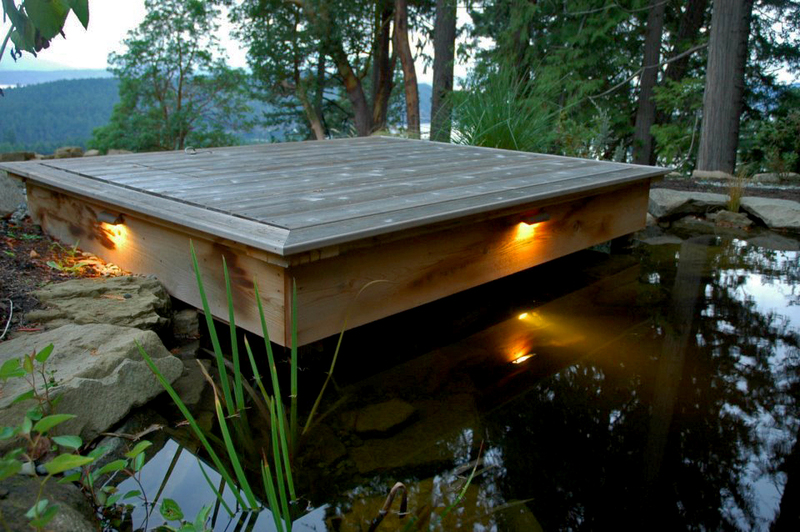 Floating plants provide shade and protect micro-organisms and fish from UV rays. Oxygenating plants absorb nitrates and phosphates and help slow the growth of algae. Biological filters remove contaminants and excess nutrients from the water. 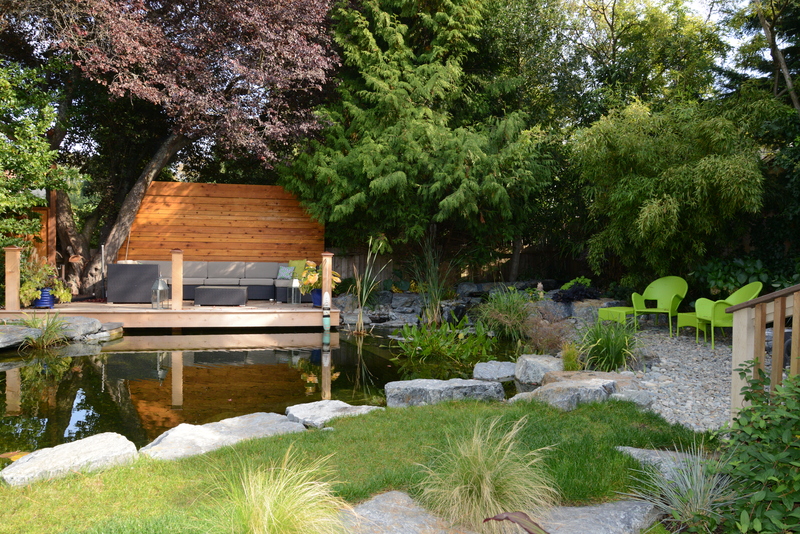 A swim pond is a great landscape centrepiece for any home and can be a great investment in family fun time right at home in a much more environmentally friendly way than a traditional pool. Swimming pools are also very harsh on the skin due to their chemicals. 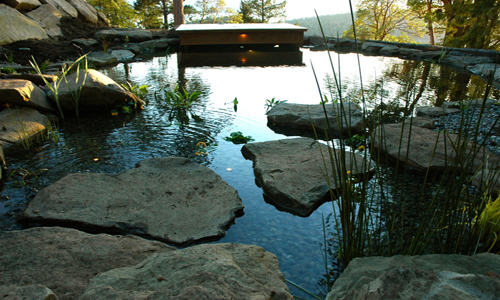 Those with sensitive skin and eyes, or those who are more health conscious will love the natural feel of a swim pond. 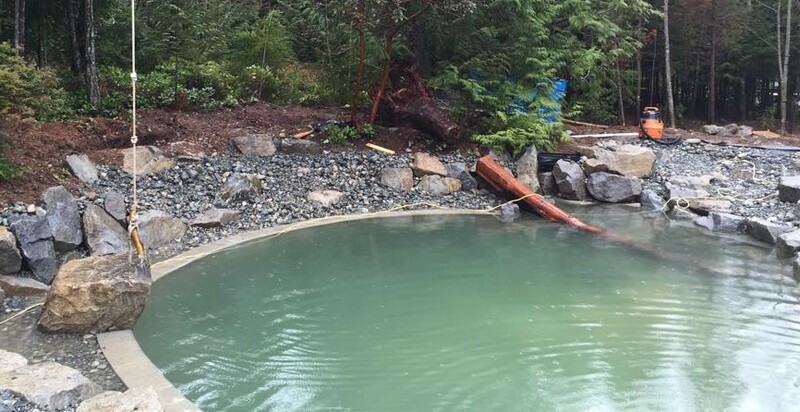 Bring our experts at Wildwood Waterscapes your questions and visions for your next great recreational pond feature so that we can transform your ideas and dreams into reality! We would be happy to answer any questions you may have about this service prior to or in addition to providing a quote and estimate for your next project.